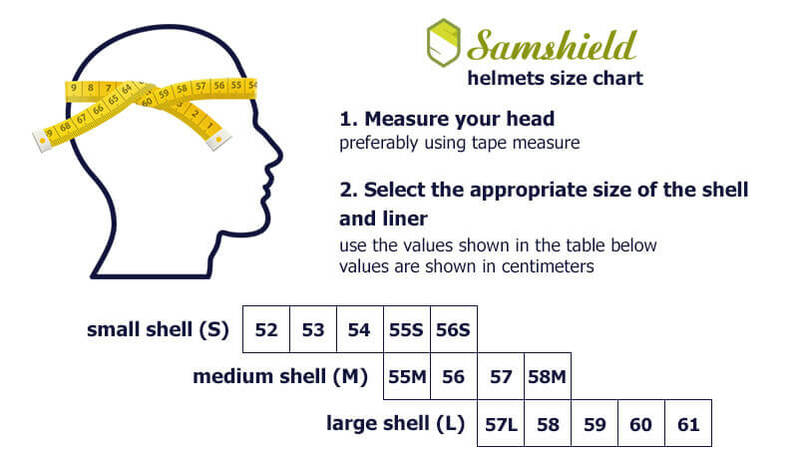 New from Samshield! 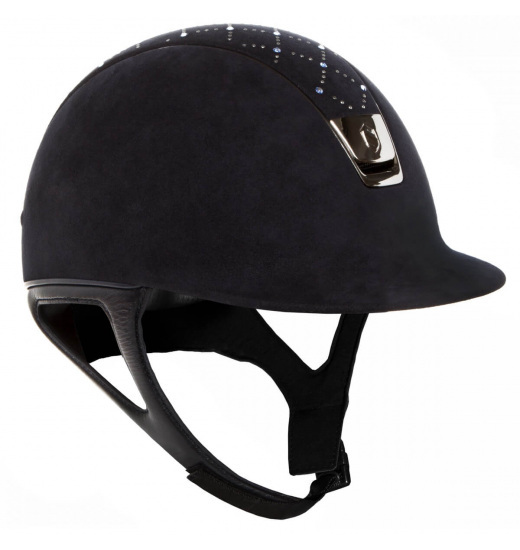 The helmet with Alcantara lined shell and top decorated with Swarovski Crystals arranged in a spectacular diamonds. 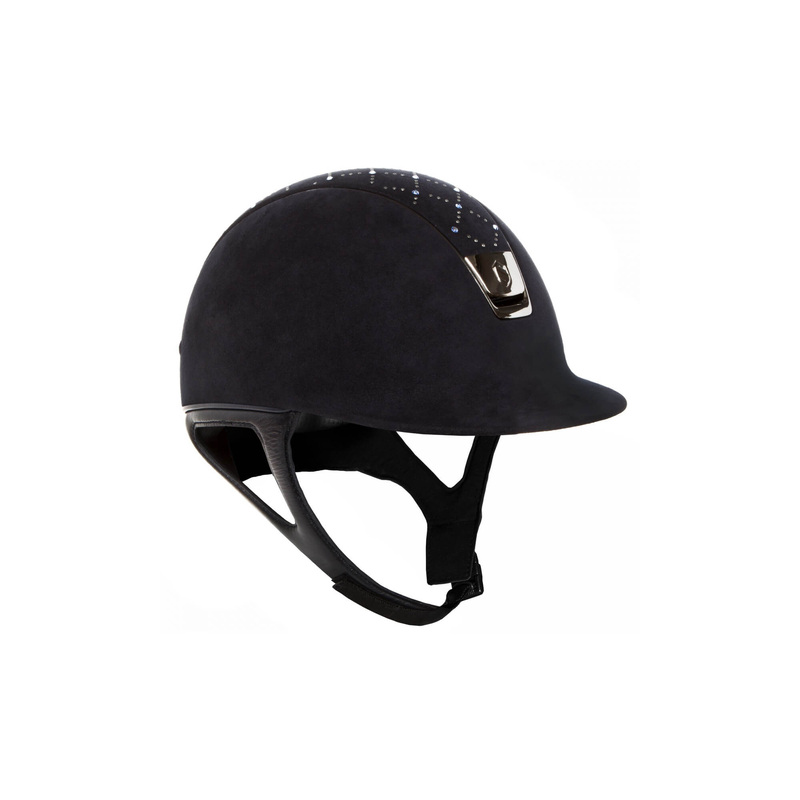 Samshield Helmets are designed and hand-finished in France. Offer maximum comfort and are certified in accordance with the standards and norms CE-VG1 01.040 2014-12 and ASTM/SEI standards. Parts of the head, covered by the helmet are fully protected against impact. 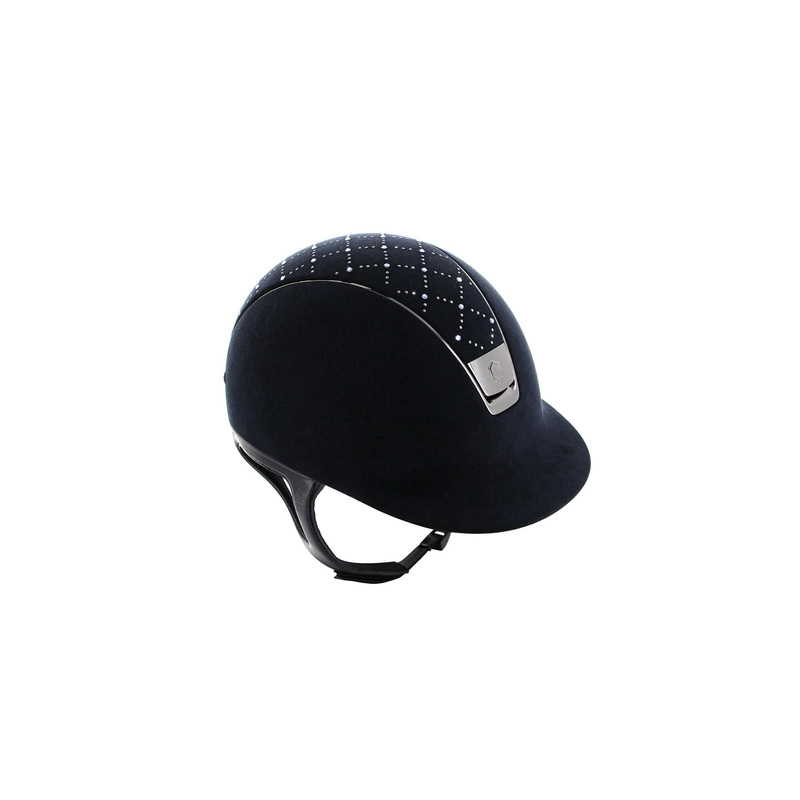 Instead of unsightly external holes Samshield helmet has front and rear channels, which provides optimal air flow that protects against excessive heating of the head. The helmet is easy to fit, thanks to a removable sponge cartridges of different sizes, four-point mounted.